I’m currently in Amsterdam for the World Professional Association for Transgender Health (WPATH) biennial symposium. It’ll be the largest such conference that has ever been run, with 800 participants from across the globe. This will hopefully be the first of several posts exploring my experences at the conference (no promises, though!) – and I’m also planning to occasionally livetweet. WPATH is an international body best known for publishing the Standards of Care, which offer guidance for practitioners supporting patients seeking to transition. The organisation has undergone a great deal of change over the years, reflecting wider shifts in understanding around trans people and our experiences. At present, the organisation’s wide scope incorporates a considerable range of views on how transition should and could be managed. I’m here partly to present a poster detailing some of my research findings around patient experiences of waiting in the UK. 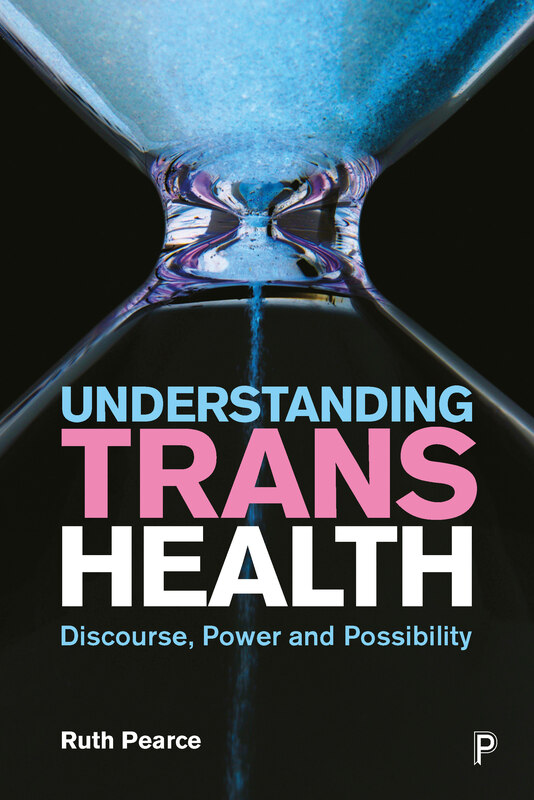 However, as a sociologist with an interest in the evolution and negotiation of discourse and activism around trans health, I’ve been interested to see that at least two fringe conferences have been organised in Amsterdam to coincide with WPATH. I also thought it would be beneficial to share what’s going on with a wider audience – so, here goes! Global Action for Trans* Equality (GATE) is a loosely-organised international trans rights organisation: a genuinely diverse multinational network of activists with strong representation from the Global South. One of their key priorities has been to campaign for the depathologisation of trans, although members have also been involved in activism around other issues, such as access to care. Over the past two days GATE held their own conference in Amsterdam to discuss trans health. The event both stood alone as an independent conference, and provided activists with an opportunity to discuss WPATH. I wasn’t able to attend in person, but have heard that a broad consensus was reached on a couple of issues related to the classification of trans in the World Health Organisation’s International Classification of Diseases (ICD). The current version of the document – ICD-10, published back in 1992 – classifies ‘Gender Identity Disorder’ and ‘Gender Identity Disorder of Childhood’ as mental health issues. These diagnoses are widely used in gender clinics in countries such as the UK (note: these differ from the diagnosis of ‘Gender Dysphoria’ present in the American Psychiatric Association’s DSM). Recent statements from the World Health Organisation indicate that the long-awaited ICD-11 will replace diagnoses of ‘Gender Identity Disorder’ with ‘Gender Incongruence’, and move these to the sexual health section of the document. Whilst GATE’s long-term goal is depathologisation, at present they have decided to focus upon pushing for this move from classifying trans diagnoses as mental health issues to regarding them as sexual health issues, as a compromise that should ensure continued funding for transition from insurance companies and public health organisations. In addition, they are arguing against the existence of the category ‘Gender Identity Disorder of Childhood’, on the grounds that this is an unnecessary medicalisation of gender diversity in young children, whilst the ‘adult’ category is sufficient to guide medical interventions for adolescents. This perspective feeds into a wider discussion around the category that is also recognised in the WPATH programme, with time set aside for a formal debate. GATE activists will be attending WPATH to argue these points, and also to advocate more widely for trans-affirming approaches to treatment. FREE PATHH is an event that will take place this Saturday (18th), concurrently with the first day of the WPATH symposium proper (a handful of formal pre-conferences are taking place on Friday). Hosted by Dutch trans activists, it is a free event that anyone can attend. FREE PATHH organisers argue that the high fees for the WPATH event mean that ordinary Dutch trans people are unable to attend this event held in their own country to learn more about their own health. As such, there is little interaction between WPATH and local Dutch trans communities. As one of those few trans people who can attend the WPATH symposium (in my case, because I was lucky enough to gain a grant in order to do so), I feel this is a really important point. WPATH undoubtedly exists to share information amongst professionals in a formal setting; at the same time, the issues at hand require input from the very people who are directly impacted. With trans people disproportionately likely to be on low incomes, even early career professionals might find themselves effectively frozen out. The FREE PATHH programme includes talks and workshops in Dutch and English on a range of issues related to trans health, and will be filmed for later disseminaton. At the end of the day, a panel with individuals who have attended both WPATH and FREE PATHH will summarise both events. This should be a valuable opportunity to share insights from both international and Dutch work on trans health, from professional and community perspectives. You can read the FREE PATHH programme here.